Hi all! Following on from the very popular Formula Hybrid 2017, Race Sim Studio is is happy to announce the Formula Hybrid 2018. 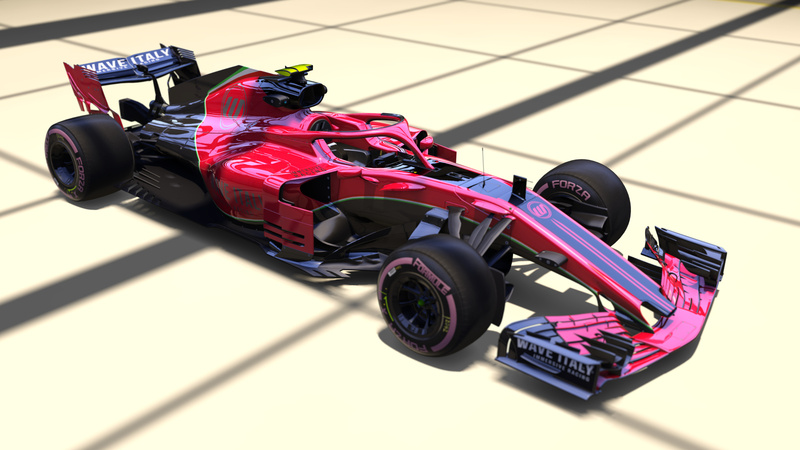 This is an entirely new vehicle design detailed with the advancements of the top-tier Formula cars in mind while being original to the Race Sim Studio team. The 2018 car will feature three sound packages, an updated car model, revised physics and the new halo feature prominent in the 2018 Formula season. With the first race of the season just around the corner, it won’t be long until you get to enjoy the new car! ma è stata rilasciata ? 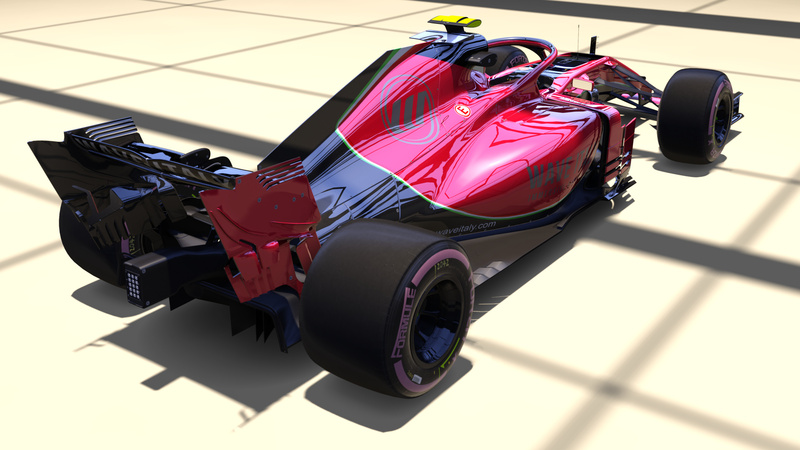 Il team Race Sim Studio ha finalmente rilasciato per Assetto Corsa la sua nuova e spettacolare Formula Hybrid 2018, monoposto di fantasia liberamente ispirata naturalmente alle attuali Formula 1 2018, con tanto di Halo. Come vedete dalle immagini di anteprima, il livello qualitativo e di dettaglio è decisamente elevato, come ormai da consuetudine del team RSS. Per l'acquisto della vettura (3,99 euro) dirigetevi qui, mentre per commenti utilizzate questo topic del forum. It is with great pleasure that we announce that our Formula Hybrid 2018 mod for Assetto Corsa is available! Building on from the acclaimed Formula Hybrid 2017 car, the 2018 season brings in a host of visual changes and an additional year of aerodynamic advancements to push the limits of the pinnacle of motor sport with what is now widely recognised as the fastest cars in the history of open-wheel circuit racing. A credit to all of the support over the past year, we have the privileged position of a sponsorship with Wave Italy SRL, a world-class provider of racing simulator solutions and racing centre consultancy. 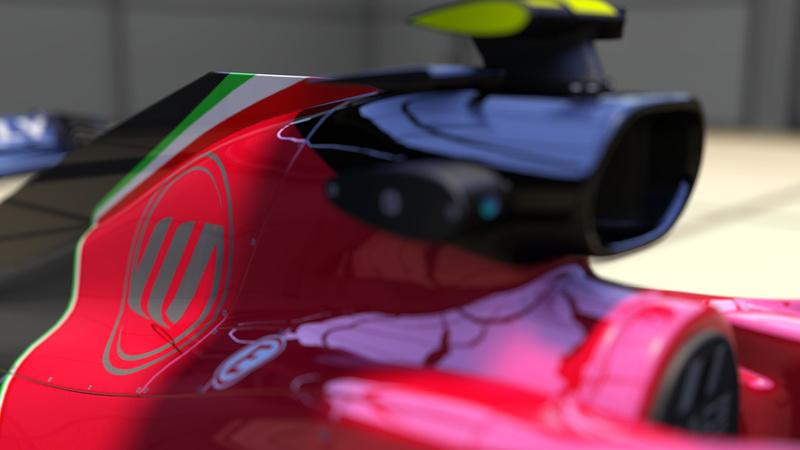 Based in Maranello, Italy, and having already established collaborative ties to world-renowned automotive and racing manufacturers, the ambition and drive of Wave Italy to create realistic representations of real-world racing sensations presented the perfect opportunity to bring something in from the real world to the virtual world with Race Sim Studio. 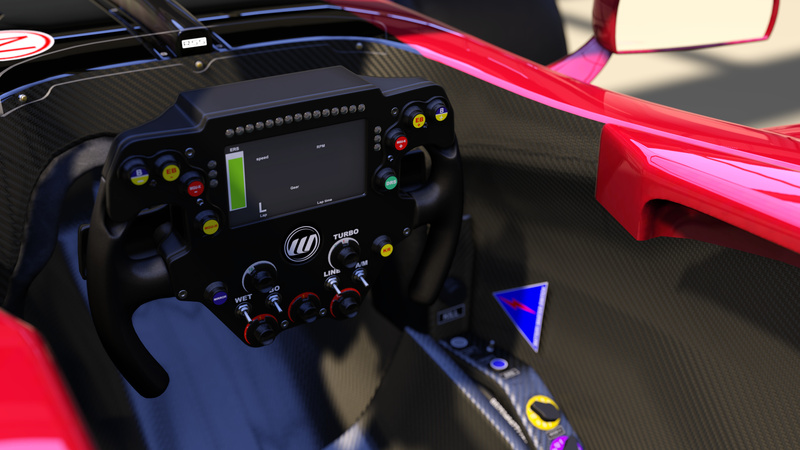 The first thing you will notice when you pass by the elegant Wave Italy livery design and jump into the cockpit is the Wave Impact F1 steering wheel. This is a real product used in Wave Italy’s Phoenix Pro simulator featuring a 4.3-inch color LCD display and enough buttons and switches to control all necessary adjustable parameters of the vehicle. Head on over to our shop to purchase the car and find out more, or visit our SellFy page. Thank you for the support, and have fun! We have released a minor update for the new Formula Hybrid; emails are being sent now to all our customers so you can download it. Il team Race Sim Studio ha rilasciato per Assetto Corsa la terza versione della sua spettacolare Formula Hybrid 2018, che simula le attuali monoposto del mondiale di Formula 1. L'update numero 3, come vedete dal lungo changelog qui di seguito, porta con sè numerose migliorie e bugfix. Chi ha acquistato in precedenza la vettura ha già ricevuto la mail con l'update, mentre chi volesse comprarla adesso deve dirigersi a questo link. Hi all! We have updated the Formula Hybrid 2018 to version 3.0, featuring several fixes and improvements. 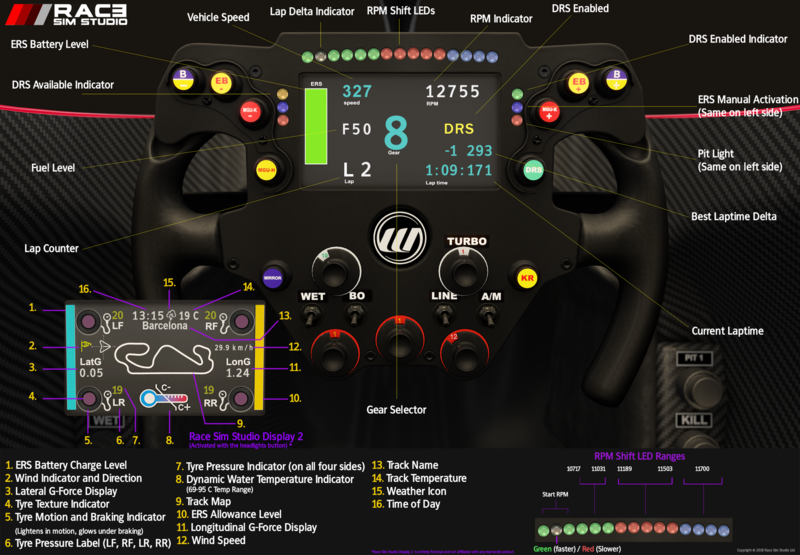 The biggest new feature is the addition of a 2nd steering wheel display that brings more information about the track and car conditions an can be activated with the “headlights” button of the game. An e-mail with the download link will be sent to the e-mail address that you included while purchasing the car in Sellfy. -All new LED settings and adjustments / colour matching settings etc.